Margo Kitts earned her PhD from the joint doctoral program in ancient Near Eastern religions at UC Berkeley and the Graduate Theological Union, where she specialized in Hittite ritual and the Homeric poems. Now she writes not only on the ancient Near East and Homer, but more broadly on religion and violence. She is the author or editor of seven books and approximately thirty articles. She has edited two online series on religion and violence for Oxford University Press and with James Lewis currently edits a book series, Elements of Religion and Violence, for Cambridge University Press. (http://www.cambridge.org/us/academic/elements/religion-and-violence#8SIDZVH7LeGshebz.97). 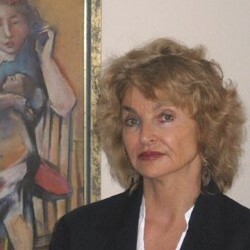 In addition, she edits the Journal of Religion and Violence (https://www.pdcnet.org/jrv/Journal-of-Religion-and-Violence). At HPU she coordinates the programs in religious studies and east-west classical studies.